5 Athletes To Follow in Asia and Why | JustRunLah! Here are 5 awe-inspiring athletes in Asia that everyone should be following. They all have their own story to tell, and they all have amazing achievements in their respective fields of sport and fitness – from running, to ultra running, to ultra trail, to crossfit. Yuki Kawauchi has been the talk of the town since his legendary Boston Marathon 2018 win. He defied all odds and came in Champion in the Boston Marathon, beating defending champion – Geoffrey Kirui of Kenya. 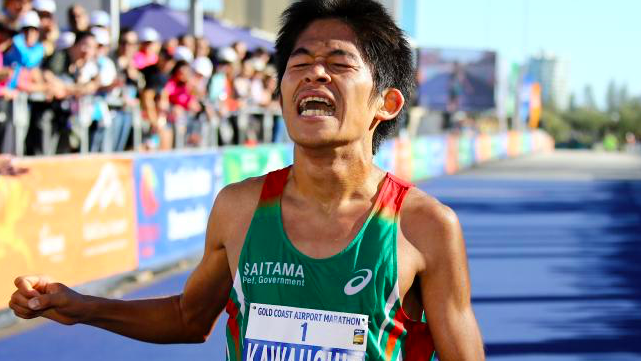 Yuki Kawauchi is special – he is not a professional athlete and he has a very different training and racing regime. He has a full-time government desk job and has no corporate sponsorship. He is a true citizen runner and an inspiration to many. Contrary to standard practice, he races every weekend. In 2017 alone, he ran 12 marathons. Other elite marathoners normally run 2 major marathons a year! 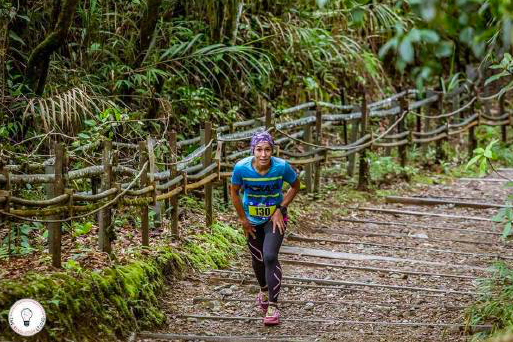 Sandi Menchi is a trail runner in a class of her own. 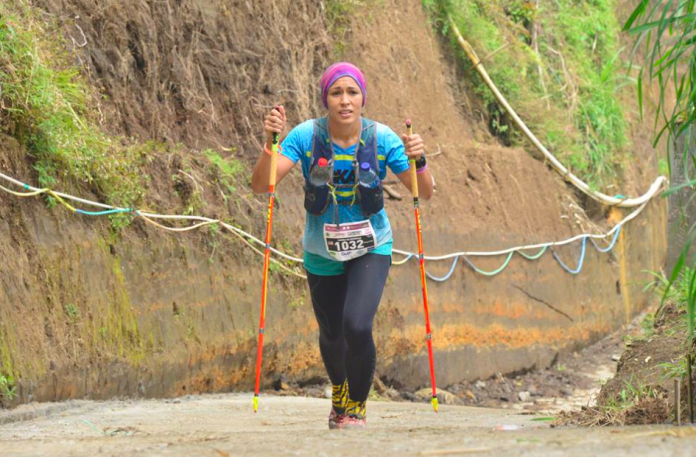 She is the reigning champion of the Kinabalu Climbathon in which she displayed true strength and grit. She often trashes the men as well. Sandi has a road marathon personal best of 3 hours 3 minutes. Her timings are as impressive as her personality. She is nice, humble and helpful. Her goal is to inspire people to love the trails and mountains as she does. She does see trail running getting more popular these days, and hopefully one day it will be an Olympic Sport. 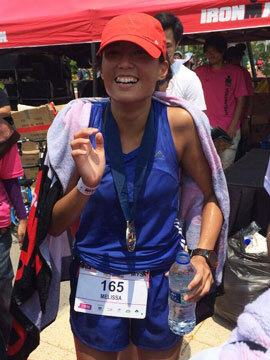 Choo Ling Er became the first Singaporean to qualify and finish the Ironman World Championships in Kona, Hawaii. However, her story is inspiring. She came back from a near-fatal accident to a top 10 finish in Ironman Kona. She has titanium screws in her left leg and she had a whole bicycle piece pierce through her right leg. Doctors said she would never race a triathlon again, but look at her fly now! 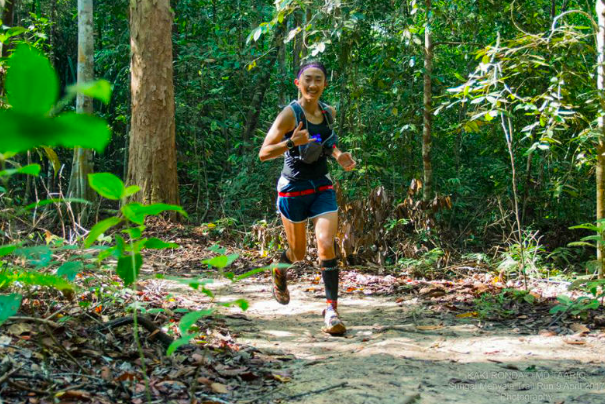 Tahira Aliya is the greatest trail runner reigning in Malaysia. Her achievements include winning all the trail runs in Malaysia and also Asia Trail Master Champion. She has conquered and won really tough races such as the Mesastilla Peaks Challenge and the BTS Ultra. When she runs, she runs with her heart. She is a mum of 3, going 4, and an impressively strong woman. Pregnant at 4 months, she is still killing all the races she’s running and winning them. Jemima is the female winner of the Under Armour Test of Will 2017 and one of the fittest woman in Indonesia. Her background is CrossFit and she has been participating in the Crossfit Games Open since 2013. She won the Fittest Woman in Indonesia title in 2015 and 2017. Jemima battled depression back when she was 22 years old when her first relationship did not work out. She was hit once again when she had to go through a divorce but this became the start of her fitness journey. She channeled all that pain to working out. Boy was that worth it!